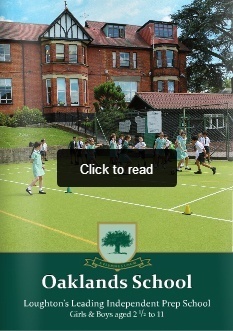 Oaklands School in Loughton provides an excellent education for boys and girls from 2½ to 11 and continues to be the first choice school for many Loughton and Buckhurst Hill families. Recent inspection reports praise the pastoral care, strength of curriculum and close relationships enjoyed by parents, children and teachers. The impressive 10-acre grounds include an adventure playground, two large sports fields, an astroturf playground and a kitchen garden. With many recently refurbished buildings and rooms, Oaklands balances perfectly traditional values with a modern education.